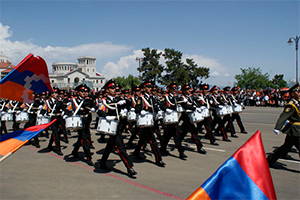 The regiment under the command of Colonel M.Mahsudyan realizes combat duty, defends the security of the borders of Armenia. 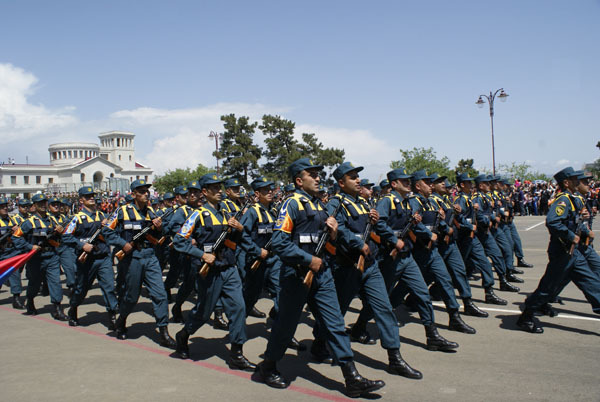 However the command is aware that effective and secure combat duty basically is stipulated with full-fledged organization of operational training. 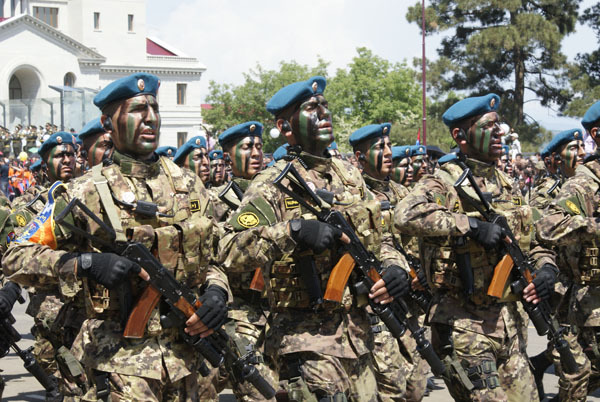 – How the situation on the border will be tensed we have no right to make mistakes during the training, – told Colonel Mahsudyan. 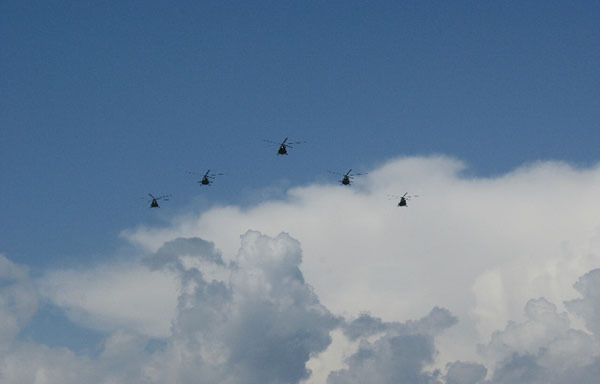 – Our regiment is on the border, and the smallest omission would hamper the combat duty. These days the Iranian newspaper “Shargh” (Orient) which is the most favourite newspaper among the Iranian intelligentsia and has almost half million circulation, reprinted the interview of legendary Armenian intelligence agent, Soviet Union Hero Gevorg Vardanyan from “Hay Zinvor” – “My time is yet to come” (№ 41, 2010г.). 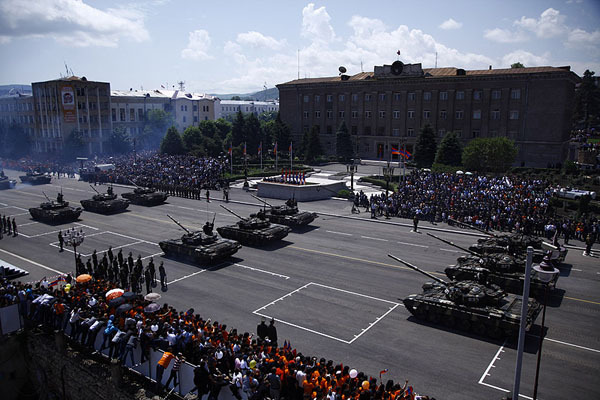 The prominent agent speaking on the glorious history of the Armenian nation and creative present, at the same time praised the victorious Armenian Army and its command. 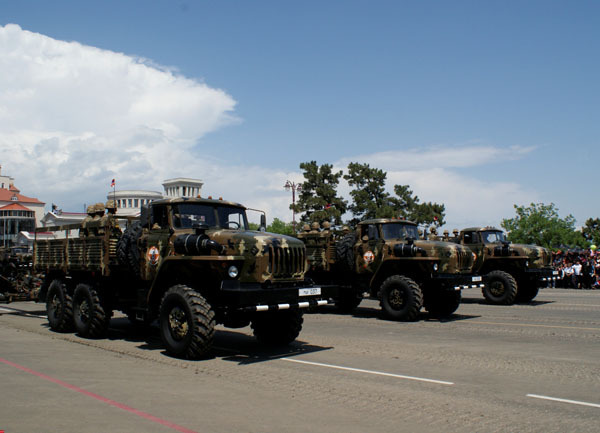 It is difficult to underestimate the significance of the regiment after Marshal H.Baghramyan in reinforcement of tank, motorized infantry combat regiments with qualified military specialists. 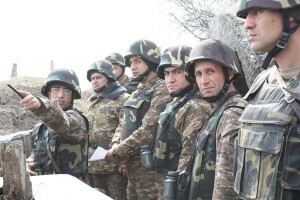 Regiment Commander Colonel G.Yenokyan told: – These spring days are very important in overcoming the requirements of the training program since after 20-25 days the regiment should be ready for exams. 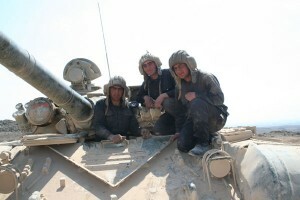 From 17 disciplines the most attention is given to preparation of tank and BMP specialists. 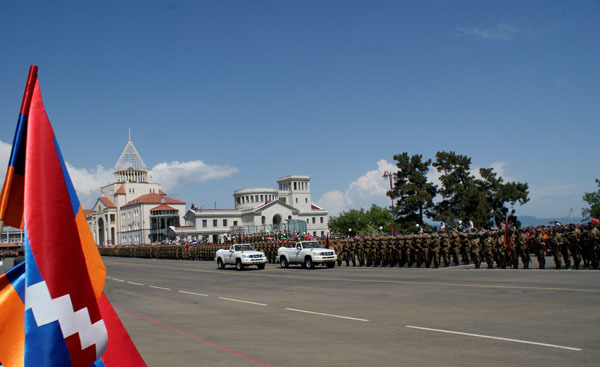 Here the main responsibility lies on Deputy Commander Lieutenant colonel G.Tigranyan. The training technology is used every day, even at night.